What if different difficulty of locks had different hit dice? And specific locks had hit points, even armor classes? Then roguish characters could roll a special lock "attack" to "hit" a lock and do a certain amount of damage per "hit." This "attack" would go up with level. Not too different in conception from rolling against a percentage chance, but it would be more familiar with players. It should be more clear that some locks will take multiple rounds to get through, that some locks might be "unhittable" or unbreakable for this rogue at this level. And if you imagine that these locks are crude and require scraping and banging on, then rolling for wandering monsters each round could be a thing. And players should have a good sense of how many rounds it would take to "defeat" a lock. Back when I used to really have it out for Percentage Based Thief Abilities, I used to give Locks/Traps an Armor Class (see here (Option 2) and use the d20 for Task Resolution. Giving them HD and HP never really crossed my mind, but I kind of like it. Thieves could then get more damage on a lock/trap with a Critical Hit, or maybe even use Sneak Attack dice. Though from the title I was expecting locks that were, in fact monsters... that would take more than mechanical manipulation to defeat. I also had an expectation in that direction. I thought it might be about using monsters to block of rooms. Monsters that needed a specific key to be defeated, that might be found elsewhere in the dungeon. The ghost who goes away if you bring his ring. A golem that needs to be bashed with the golem-slaying hammer. A group of undead that can be defeated with holy water from the fountain found a few rooms away. I'd like it if the monsters were the actual doors/locks. Like a golem shaped into an archway... sessile but with movable limbs... or something (an portal of interlocked stone arms blocking the path... double doors where each door is a separate golem and they need to both be talked into opening simultaneously). Goblin locks that spit out (or chew up) lock picks... or can be made to vomit up all the wrong keys that have been fed to them (which might open other locations). Demon locks that can altar the destination on the other side of the door depending on what key is used. Locked doors are the essence of mystery and desire... if one were important and weird enough it could be the focus of an adventure... to find its maker, figure out how to defeat it, find the right key. Interesting idea. But why would players automatically know the lock's AC/HP/etc., as is implied by them "having a good sense of how many rounds it would take"? Other than the threat of wandering monsters, what's to keep players from just rolling again and again until they get a 20? Does bashing a lock with a hammer decrease its "picking HP"? Does pulling your lock-pick out reset the HP? I had this exact idea awhile back and even proposed it on my blog. :) I think it has potential if the lock can "hit back." Maybe with a trap and/or an increased chance of attracting a wandering monster from the noise. Thanks for sharing! Thanks for the comments. Sorry for the delay. @ktrey/Jim: great minds think alike :) And yep, not just critical hits but misses too. Jim, dangit, I probably read that post. But our minds are mysterious, maybe I had to get more experienced with thieves to think of it myself or channel it subconsciously. @Confanity: They might learn a kind of lock or just know about how tough a particular make of lock is the way players learn the difference between goblins and ogres. For AC, my players learn a target's once they've made one attempted hit in combat, could be the same with locks "oh no, this is tougher than I thought it was going to be." Having extra wandering monster checks could be one penalty for extended fiddling. But if a lock has decent hitpoints and decent AC the tedium of rolling over and over might be its own penalty. For bashing I think I would have the weapon take damage from the locks hp, but make it unpickable. 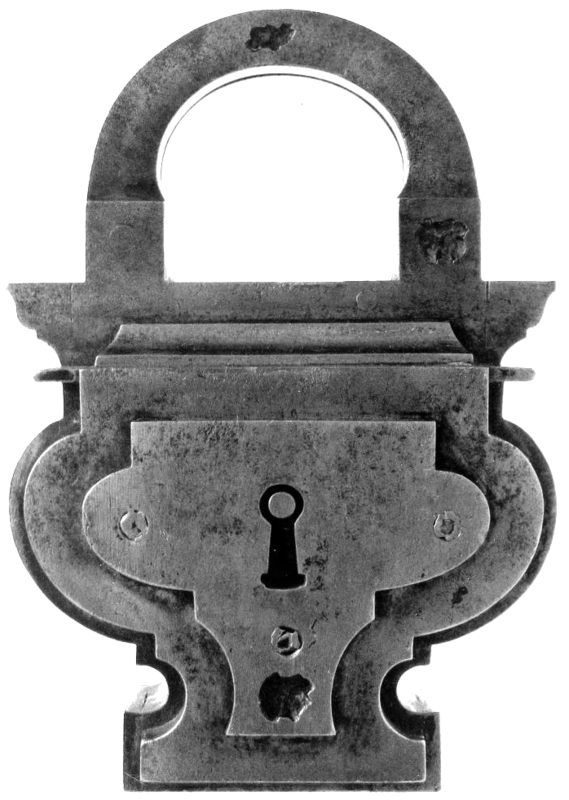 So you couldn't make a lock easier to pick by hitting it with your mace, but a fighter might get impatient and just knock the lock off-- with a definite extra wandering monster check. That might lead to interesting choices (pick it or break it?) or the time to pick could be pressured with rising water/ enemy pursuit. I'm playing mostly with beginners and you might be surprised how changing a mechanic can be confusing "wait, do I roll under or over this time?" So the main reason I thought of this was to help them understand the difficulty of the task ahead of them and the requirements necessary to complete it. I haven't tried it in game. Maybe I should. I just want something grittier, that feels like you are struggling to get the lock open and you might get or maybe not. I think something like Skyrim's subsystem is perfect, but there are probably things a single player video game can do that are impossible to do with a group social game. @knobgobbler/Rubberduck: Sorry it wasn't what you expected :) I *have* been thinking recently about back-porting the element in videogames where the boss monster has a pattern, or gos through a cycle of changes as you fight. And learning the pattern could be lock-like. Thrig and Nested Golems have definite patterns they will go through as you fight them. How you fight Thrig will affect the pattern. Hermetic Golems are essentially a walking, punching lock. Oh! I love that Hermetic Golem idea! Very cool! Not sure how I missed that one.